Click on this photo to enlarge and see the detail and the pleating. 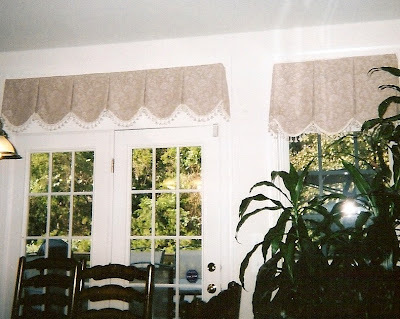 Add softness to a room by giving your boxed pleated valance a scalloped bottom. 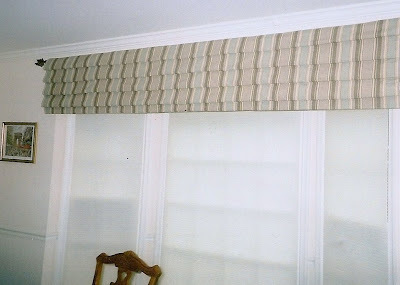 The vertical stripes in this mock roman valance keep the picture window from appearing disproportionally wide.